The anonymous man who claims to be a time traveller from the near future has warned the UK of the inconsequential effects of Brexit. 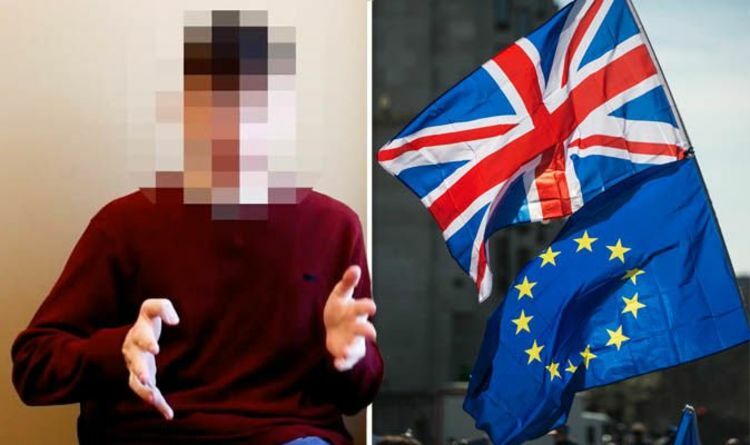 In a shock confession tape published online, the alleged time traveller who goes by the name of Noah, outlined a number of shocking events facing the UK. Among the time traveller’s most bizarre predictions is the news Britain will join ranks with the EU again before 2030. Speaking to paranormal investigators from YouTube channel ApexTV, time traveller Noah said the UK will form part of a single, future European superstate. The time traveller said: “I have come back to tell you guys the truth and everything there is to know about the future. There’s a lot for me to say. “Today I will be telling you guys the future of the United Kingdom. First thing, the United Kingdom actually comes back into the European Union. “Everyone knows that they actually left while ago now but they actually come back before 2030. “The thing about the European Union in the future is all the countries in the European Union actually converge together into one giant country and the UK kind of acts like a district in this giant country. “Yes, I am telling the truth, I’m not lying to you guys when I say this. The European Union actually becomes one giant country. Other nations around the globe will supposedly follow this trend of merging borders, the time traveller said. The European Union of the future will also adopt a global currency, replacing the Pound Sterling and the Euro. Time traveller Noah also warned the UK of climate change and the dire effects of global warming. He said: “It does significantly change the United Kingdom’s temperature. “Like I said multiple times, global warming is a very bad thing that we have, and I don’t know what to tell you guys. Britons of the future will also adopt a special chip, which will increase their brain functions by up to six-times. And if that was not enough, the time traveller claimed another chip in the wrist will keep people healthy and happy. The time traveller said: “In the future of the UK, obviously as times progress more people will live in cities. However, not everyone was convinced by the time traveller’s dire predictions of the future. And Aniket Singh said: “There was not one bit of new information in that video.